Epcot favorite Soarin’ will undergo an extensive closure/refurbishment time while they complete the 3rd theater and install the new projection system and new film experience. 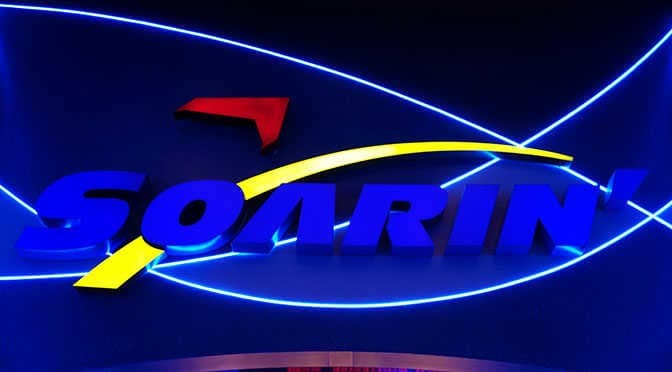 Soarin’ will be closed from January 4 through an undetermined date in Summer of 2016. Test Track Fastpasses will become even more difficult to attain and wait times will increase dramatically. When Test Track closed for restyling, they provided an accapella musical act and Soarin’ remained open for an additional hour without notifying guests. We’ll see what they pull out of the bag. Soarin’ refurbishment has been added to my Refurbishment List and updated on Character Locator. In unrelated, but Epcot, news, B’net Al Houwariyate will perform its last show today in the Morocco Pavilion, October 18, 2015. And this is why it’ll be about four years before I go back to the World!